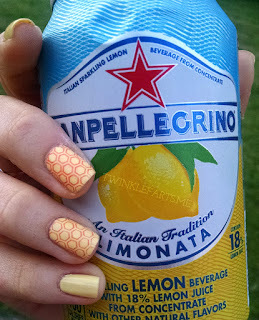 twinklefarts: springtime stamped manicures, including a sanpellegrino inspired one! 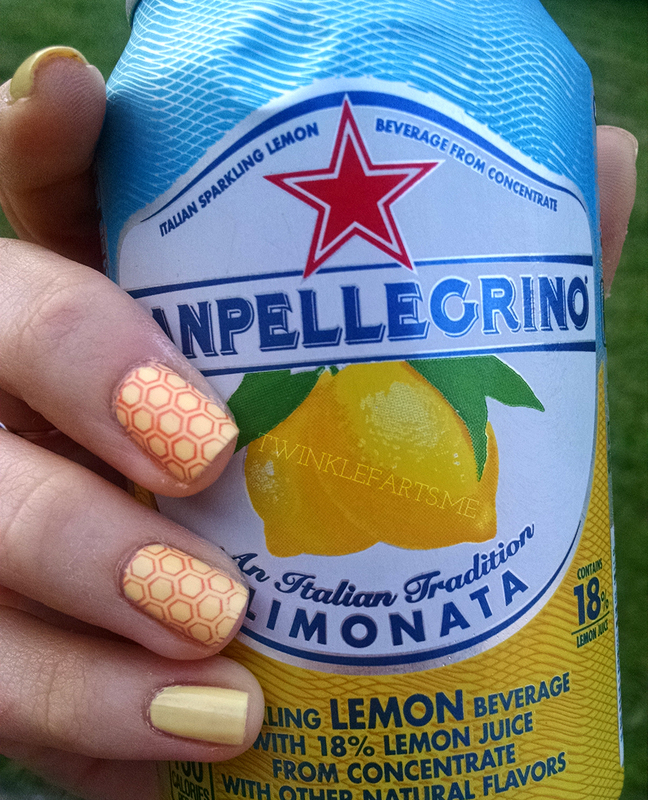 springtime stamped manicures, including a sanpellegrino inspired one! So I guess Friday posts are becoming a thing now... haha. Welcome back! After feeling like garbage for most of last night + this morning, I decided to curl up in bed with some hot green tea and my computer and get some things done. 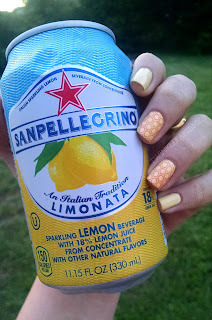 Namely, a post about my manicure (which is doing wonders for boosting my morale today-- you'll see why in a second). First I want to talk about this awesome mani/pedi I did for my mom for Mother's day. 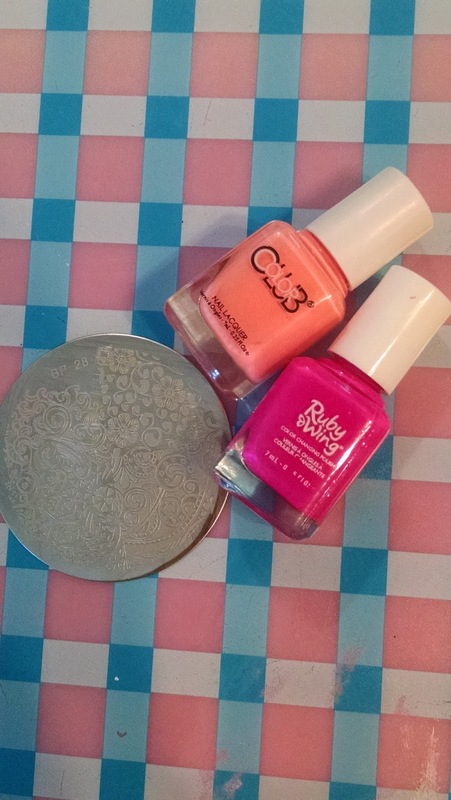 We celebrated a bit early, but I was able to stamp this gorgeous Color Club in 'Reign in Spain' over 'Mini Kitten Heels', which is an awesome color changing polish by Ruby Wing. 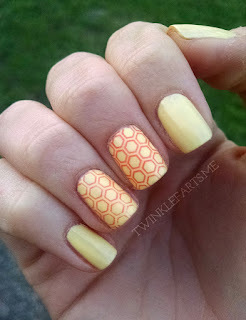 I used a stamp I got (for review) for free from Born Pretty Store, and I must say... I am consistently impressed with the quality of the plates they have gifted me! 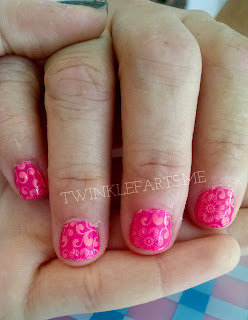 As you can see, the image transfers really well even with polish not formulated specifically for stamping. Needless to say, my momma was happy. Earlier this week, I found some Sanpellegrino on sale at Target and decided to indulge to get me in the mood for Italy (I'm vising there in July! Eek! :D). 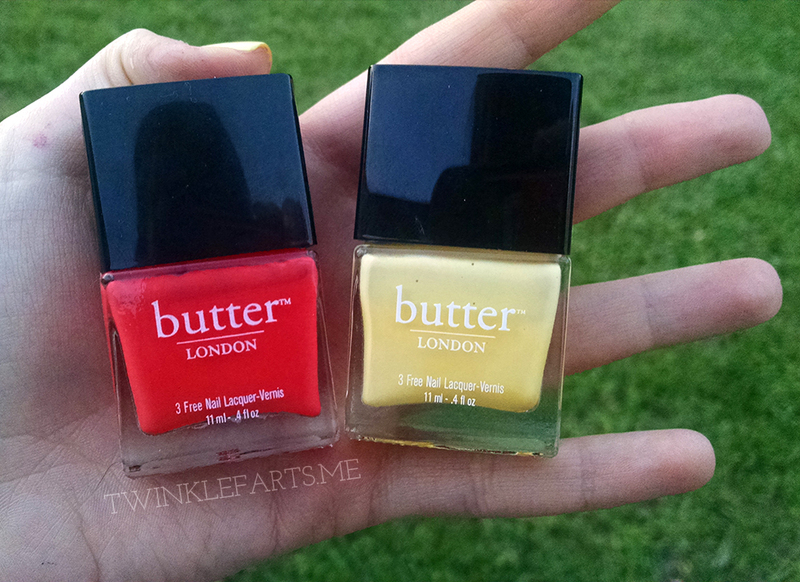 After coming home, I was inspired to create a refreshingly "springy" manicure with two Butter London polishes, 'Jasper' (the yellow base) and 'Jaffa' (the coral-y stamping color). I'm not sure if my skills are improving with stamping or I'm just having great luck, but between my manicure and my mom's... these regular polishes are stamping like a dream! I love not being restricted to the Konad white and black, and look forward to stamping more bright colors as the spring/summer season progresses. Hopefully you enjoyed this post, and if you have suggestions for regular polishes that are thick enough for stamping, let me know!